This tire covers section is dedicated to everything and anything that relates to the great state of California. This western state is one of the longest in the Union and stretches over 900 miles from North to South. The various terrains that California offers is a dream come true for Jeep drivers and RV tourists. From bustling cities, to gorgeous mountain views of the Sierra Nevada Mountains, outdoor enthusiasts have a big array of terrains that even include the Mojave Desert to play in. 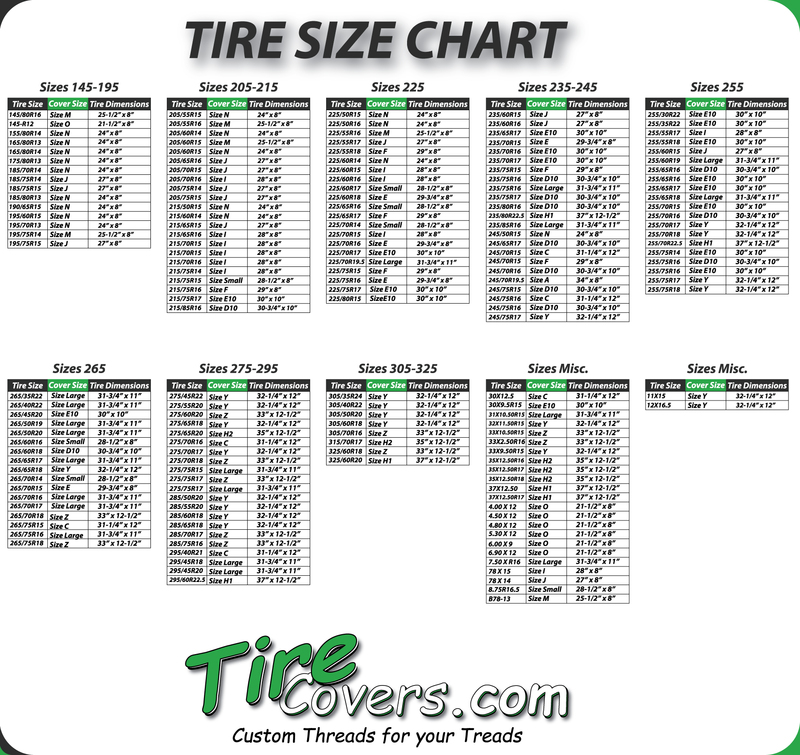 Show why your RV or Jeep is apart of the Californian culture with a fashionable tire cover that is sure to raise eyebrows as you pass people on the the open roads with your Jeep, RV or Boat Trailer.